Step away from the hustle of the city and head to an adventure full of thrill and amusement, for a wild ATV Ride. Hop on the all-terrain vehicle and enjoy the off-road romp through the mountains and green valley’s featuring sand, mud, swamp and anything else Mother Nature offers. Designed to fit all skill levels, the Atv guided adventure includes instructions, helmet, fuel and Insurance, Which are mandatory safety items for all drivers and riders. Push the boundaries and have a blast on this off-Road ATV experience. You’ll navigate your way on remarkable mining tracks, enjoying breathtaking sceneries and experiencing the serenity of the natural peaks and valleys separating Ouyoune El Simane from the Bekaa valley, zar3oun from Za3rour and Dhour lchoueir; Jebjennin,Laqlouq;Tannourin to cedars or Annoubine and Much more trails to discover. 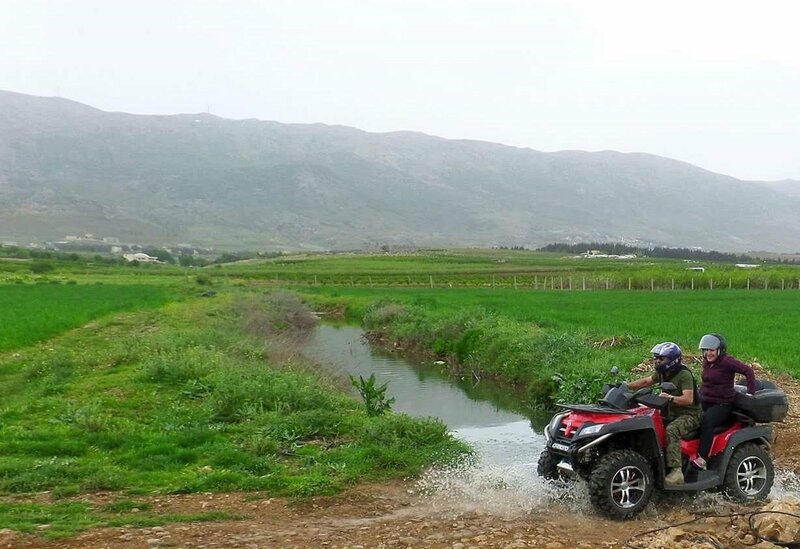 Our guides are qualified professionals and are dedicated to make your ATV tour a memorable experience. Don't forget to bring your camera to capture all the fun.